In March 2019, the Daegu Opera House will be hosting the 5th Daegu International Artists Opera Festival for young opera singers from all around the world. Established as one of the major projects of the Daegu Opera House Foundation along with Daegu International Opera Festival and the Daegu International Opera Awards, this festival will feature the Opera Universiad “The Magic Flute” from March 7 to 9 and Young Artists Opera “L’Elisir d’Amore” from March 29 to 30 at the Daegu Opera House. 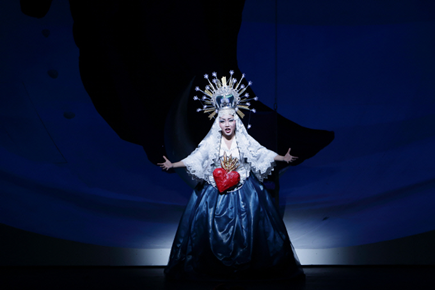 The opening performance of the festival will the Daegu Opera Foundation’s first full-length opera, the Opera Universiad “The Magic Flute,” which will be full of college students’ youthful energy. A portmanteau of “university” and “Olympiad,” the Opera Universiad not only promotes the artistic exchanges between universities specializing in music in Daegu and the rest of Korea as well as global music education institutes but also provides special experiences for students to work with professional staff to put on opera performances. For the 2019 Opera Universiad, students from four Korean universities (Kyungpook National University, Andong University, Yeungnam University, and Keimyung University) and three foreign universities (Germany’s State University of Music and the Performing Arts Stuttgart, Austria’s Mozarteum University, and Italy’s Conservatorio Rossini) will be participating in performances, enhancing the Opera Universiad to the level of a large-scale global project. In particular, Conservatorio Rossini is located in Pesaro, Italy, a city that was designated as the 2017 UNESCO Creative City of Music, and the city of Daegu, which was also designated as the UNESCO Creative City of Music in the same year, hopes that the University Olympiad will develop into a stepping stone for vibrant cultural exchange. The Daegu Opera House has planned performances for March, which marks the beginning of the school year. In addition, considering Daegu’s status as a city of performance and culture, the opera house is actively hosting events with schools’ student councils to increase interest in opera from music majors as well as non-music majors and to encourage students to have their first cultural experience of the school year at the Daegu Opera House. On the day of the performance, each university will host promotional booths in the outdoor plaza of the Daegu Opera House, and students will have busking performances, filling the air with youthful energy.